Frome picture framers, Mount, has donated 24 frames to Frome town mayor’s exhibition of mayoral chains. 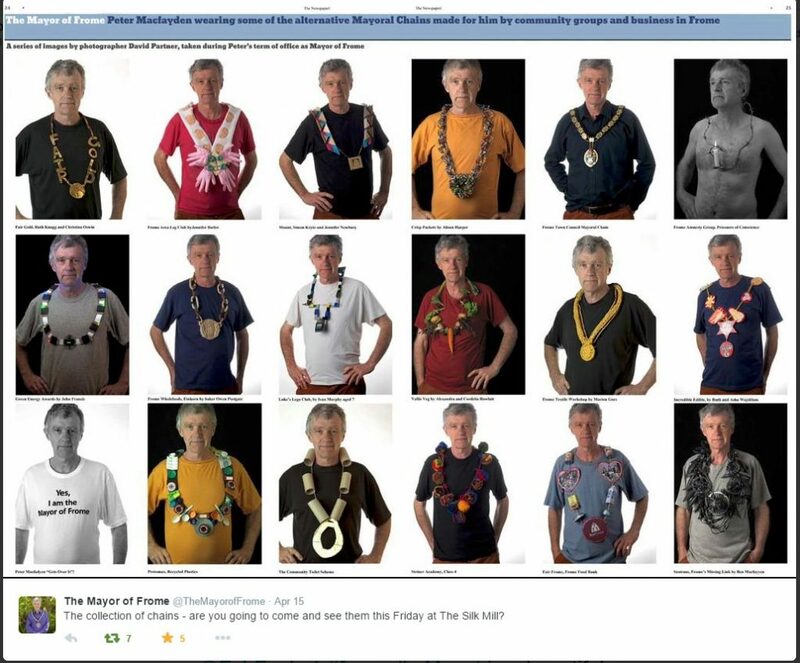 Photographer David Partner (a member director of the Association of Photographers) has photographed Peter Macfadyen wearing chains made by local businesses, schools and groups. 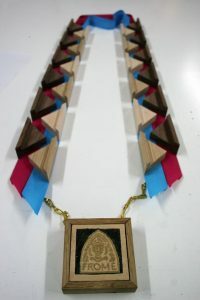 The chains reveal something of the character of the giver and also Frome itself. Installing the exhibition earlier today. This is an exciting exhibition that celebrates the independent politics of Frome and the amazing wealth of creativity within the town. The framed photographs will be for sale, with all proceeds going to charity. 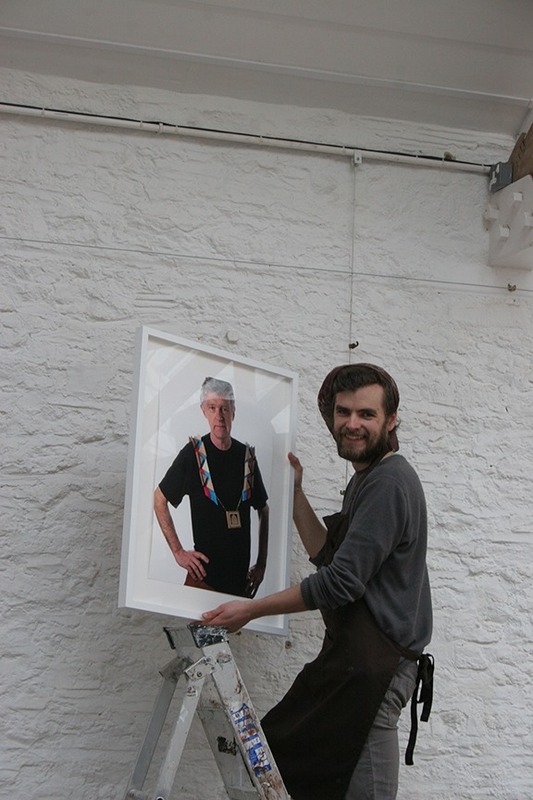 The exhibition runs from 17th April-21st April at the Silk Mill gallery in Frome.